Hello to everyone, Today I am posting about JSON Parsing in Android using okHttp Library. I found many documentation to understand okHttp but I want to share my example which i have created as Demo. Create New Project in Android Studio android follow the instructions. 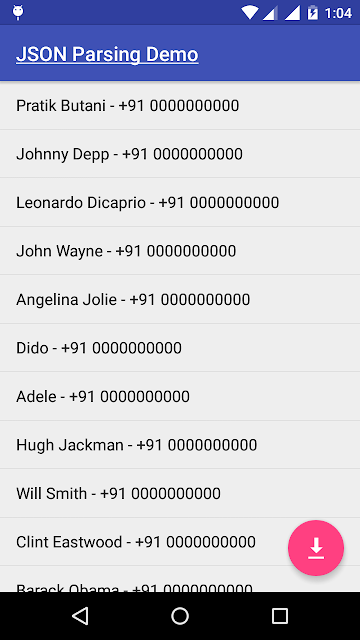 Hope You will enjoy with Android JSON Parsing with okHttp and basic of Android Design Library. Any question, Any query, Any suggestion Always Welcome. Do comment. Android, Json Parsing, OkHTTP. Bookmark.